I am writing this a few hours before our Family Freedom Walk. It is raining. Not gray and drizzling… BUT RAINING! We went into “Plan B” mode to make arrangements for the event given the forecast. I have to be reminded it is “we” who go into Plan B mode. God already had His perfect plan for this day. This Nor’easter didn’t take Him by surprise! As usual, it’s another opportunity to trust in His good, perfect plan and will. How about your day today? Is your “to do” list ready to go? Is your date book full? Are your appointments set? Good! Now, what happens when God’s will upset your plans? How easy it is to try to fix things. How easy it is to get our feathers ruffled because things didn’t work out according to our own plan. How easy is it for frustration to overcome you because you are inconvenienced? We don’t usually see the very opportunity we have before us. These are the times when we learn to trust. This is when our wills bend to His. These are the moments we cry out because we simply need His help. I pray your day goes well. 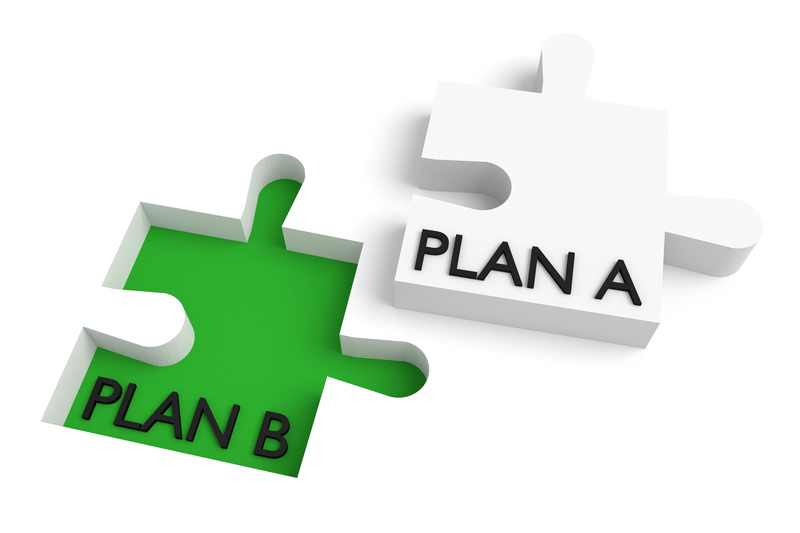 I pray that your Plan B is set in place just in case something changes. But, what I really want to pray for you most is that your plan will always be His plan!